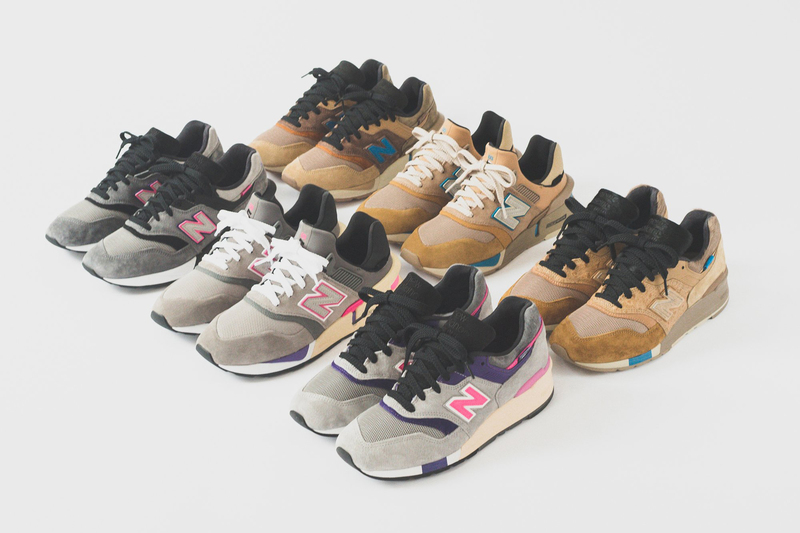 After a first look at the KITH x United Arrows x nonnative x New Balance 997 available to previous customers through a Loyalty Program, Ronnie Fieg’s sneaker empire has unveiled more information around its latest collaboration with New Balance. The impending collection will include six new colorways across three silhouettes: the 997 OG, the 997S, and the 997S Fusion. While the 997 OG retains its time-honored form, the 997S introduces an advanced version of the model, complete with a revamped upper and neoprene construction. The 997S Fusion is an amalgam of the classic and the new, keeping the OG upper while incorporating modernized ENCAP Reveal tooling. The two brands also teamed up with United Arrows & Sons and nonnative to create distinct iterations of the sneakers. The UA & Sons models feature gray, pink and purple hues with classic pigskin and suede on the 997 OG, while the nonnative design incorporates exotic pony hair and ostrich leather in black, brown and cobalt blue. The KITH x New Balance 2018 collection is scheduled to arrive online at KITH, United Arrows & Sons and nonnative on Wednesday, Nov. 21 at 11am EST. KITH’s retail stores will release the collection the same day while United Arrows & Sons and nonnative locations will launch the following day. Available for the first time in the country. An intimate look at the artist’s personal life.